Frank Reda came to Canada when he was 18. His father was working at Moishes at the time and he was hired as a waiter. This was Frank’s first job, this was Frank’s only job. He worked with us for 51 years and we were truly privileged to have had him here for all of those years. 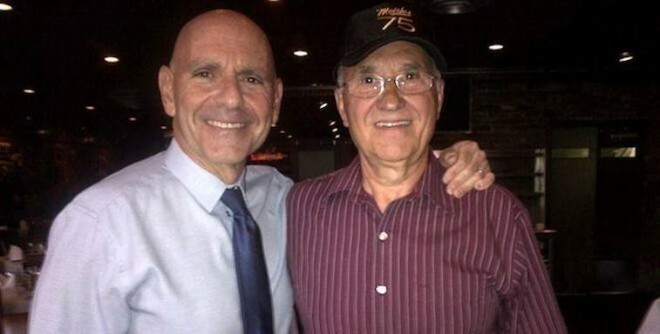 Frank came to Moishes on Saturday night, April 12, to celebrate his 50th wedding anniversary. We were delighted to welcome him and his entire family, and wish him all the best!